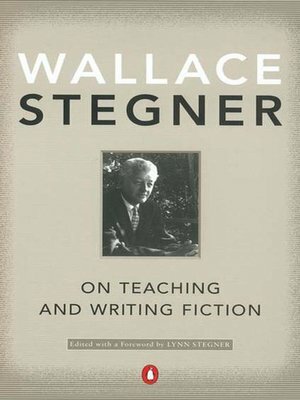 Wallace Stegner founded the acclaimed Stanford Writing Program-a program whose alumni include such literary luminaries as Larry McMurtry, Robert Stone, and Raymond Carver. Here Lynn Stegner brings together eight of Stegner's previously uncollected essays-including four never-before-published pieces -on writing fiction and teaching creative writing. In this unique collection he addresses every aspect of fiction writing-from the writer's vision to his or her audience, from the use of symbolism to swear words, from the mystery of the creative process to the recognizable truth it seeks finally to reveal. His insights will benefit anyone interested in writing fiction or exploring ideas about fiction's role in the broader culture.